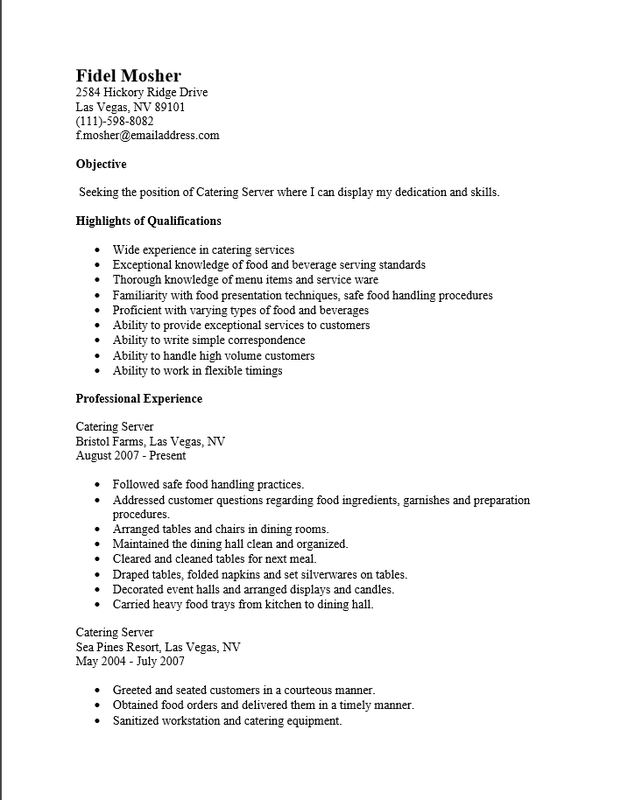 The Catering Server Resume Template is useful for anyone seeking to develop a professional resume in the catering business as a server. Many will think catering servers and banquet servers are interchangeable however this is not the case, whereas a banquet server may serve anyone a catering server will be assigned one group of people. Typically this will be a celebration, party, or conference. Catering servers will need to put their best face on and be fully aware of the menu items for that event. This can be vital if one of a table’s party is allergic to a particular food. 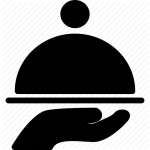 Catering servers (like many other servers) will need a good memory, stamina, and the ability to be friendly and/or polite even in the face of stress or exhaustion. These are some of the skills that should be touted during an interview or on a resume. When composing the content for this resume template keep in mind that the recruiter will use this document to make a decision on who to call in for an interview. Thus make sure it is a polished document with content focused upon the position at hand. Such a resume will likely attract positive attention to an applicant’s inquiry about a job. Step 1. Enter your full name and contact information at the top of the page. Bold your name or enlarge it. This should be the most noticeable text in the document. Step 2. In the “Job Objective” section state your intention to gain the position you are applying for. If wished at an additional statement or two about what you bring to the table or your professional identity. Step 3. For the “Highlights of Qualifications” section input a listing of your skill set and knowledge base as they apply to the sought after position. Step 4. In the “Professional Experience” section give a chronological list in descending sequential date order of your previous jobs. Include your job title, name of the company, city and state of the company, and dates worked. Each previous employer should get their own entry and there should be a description of your duties. Step 5. The “Education” section should contain a list of your degree/certificate/diploma, the year you were awarded diploma/certificate/degree, name of school you attended, and its location.